Note that as a result of the Firestorm team’s policy to keep only 3 versions running, version 4.5.1 beta will be blocked in the coming weeks. The advice from the team is that If you are on 4.5.1, to please update now. Version 4.4.2 will continue to remain for Mac users until all the major Cocoa Mac bugs have been resolved. However, if you are not a Mac user, then there really isn’t any reason for you not to have updated, and the team again ask that you update as well. This release of Firestorm sees the arrival of a Mac 64-bit version. As with the original windows and Linux 64-bit versions, this first release of the Mac 64-bit variant of the viewer is regarded as a beta release. However, the Firestorm team fully expect it to have far greater stability than the 32-bit version, and better performance, so Mac users in a position to do so are encouraged to download it and try it. 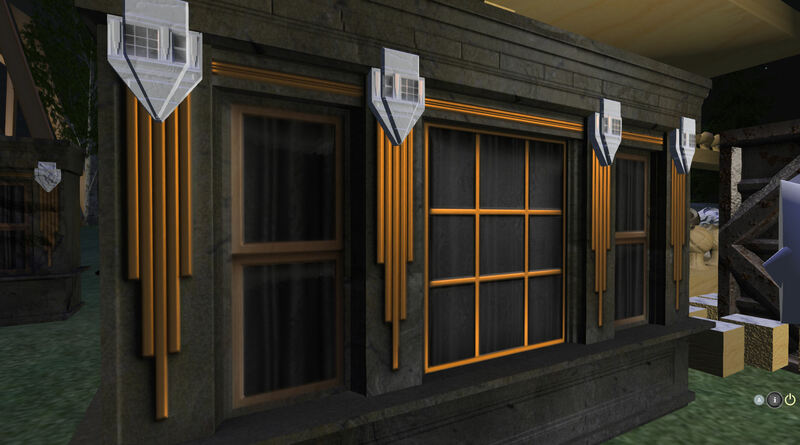 Blog posts on the 64-bit version can be found on Tonya Souther’s blog and in my blog. The Firestorm team have implemented a partial fix for the keystroke entry lag issue (see FIRE-12172). These may not entirely solve the issues to which they relate, but hopefully they’ll give at least some Mac users a degree of improvement. One thing those experiencing the typing lag, and who are in a position to do so, might like to try is to create a clean virtual desktop in Spaces, switch to it and then start Firestorm, pinned it to that desktop, and make it full screen (see the suggestion from Spikeheel Starr here). This release sees Firestorm reach parity with LL’s 3.7.8 code-base, together with cherry-picked updates from later releases. Updates and fixes directly from the Lab include, but are not limited to) the following. Project Interesting has been a part of the Lab’s long-term Project Shining updates which were recently officially drawn to a close. 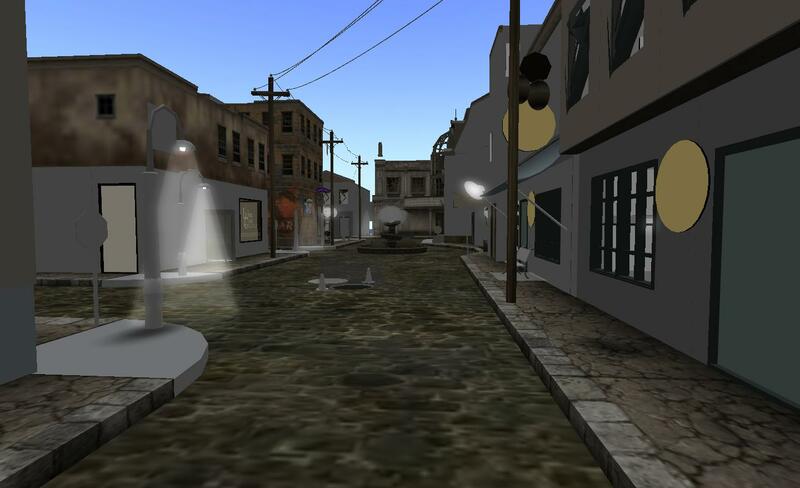 The interest list work, primarily led by Andrew Linden prior to his departure from the Lab to join High Fidelity, is a set of improvements to how the viewer and simulator work together to know what information the viewer has or needs in order to render the world around your avatar. The work has seen several server-side and viewer updates, and the updates included with this release of Firestorm enable the viewer to more intelligently store and reuse scene data, helping to make regions you’ve previously visited load faster (as long as you don’t clear cache! ), and help improve viewer performance. Google Breakpad is the tool used in gathering information used in reporting underpinning reasons for viewer crashes to help with tracing causes, etc. Linden Lab have been engaged in a programme of improving when and where Google Breakpad becomes active as the viewer starts, and ceases reporting as the viewer shuts down. This release of Firestorm sees the most recent updates and improvements made to Google Breakpad integrated into the viewer, allowing the support team to improve the triaging and debugging of issues. Opening square textures now sets the 1:1 size constraint. [PRIM_ALPHA_MODE, integer face] returns [integer alpha_mode, integer alpha_cutoff]. For further information, please refer to the relevant LSL documentation as linked-to above. CTRL + mouse grab of objects is now disabled by default in all of Firestorm’s log-in modes other than V3. This is because the option offers no “undo” option should it be used accidentally. A toggle option has been added to Preferences > Firestorm > Build 2 (Use CTRL+mouse to grab and manipulate objects) to enable / disable the ability. 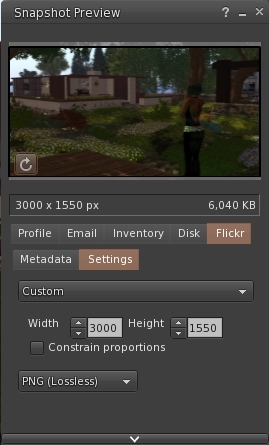 Clicking the area in between the Full Bright check box and the Materials drop down box no longer incorrectly opens the colour picker. Settings backup has been extended to back up muted group chat configuration. An avatar should now be able to stand after switching off AO during ground sit override. 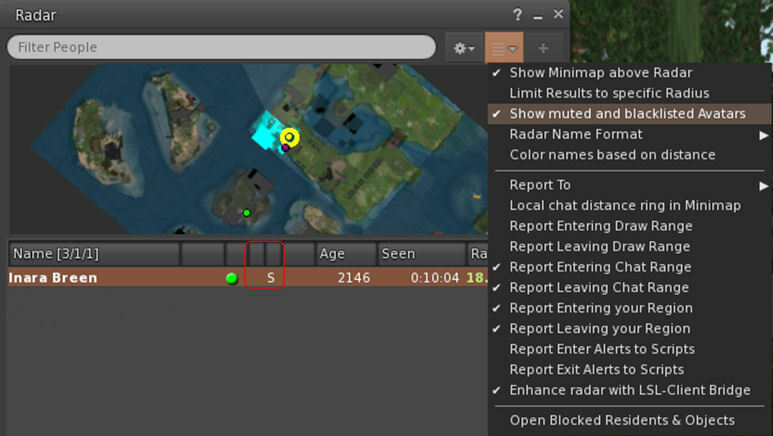 Bridge enhancements for radar can now be enabled / disabled (Radar > Options > Enhance radar with LSL-Client Bridge). When checked, radar functions responsible for determining avatar locations at high altitudes are assisted by the LSL-Client Bridge, particularly when they’re beyond draw distance. Additional Bridge updates can be found in the change log for this release. Those wishing to know more about the Firestorm Bridge are referred to the Firestorm Bridge documentation. The radar floater has been updated to include a typing (T) and a sitting (S) indicator alongside avatar details. In addition, an option to hide muted and blacklisted avatars in the radar has been added, which, when checked, will leave notifications in radar suppressed for muted and blacklisted avatars hidden. Distant avatars should now animate at the correct speed when avatar imposters are disabled see VWR-16694 and FIRE-3657). Note that this is an experimental fix, and while no issues / side-effects of the fix have been found, it can be disabled, should problems occur, via Preferences > Advanced > Enable the use of animation timesteps. Note that this will result to distant avatars reverting to their old behaviour. Total result for 3d10: 24. “Restore to last position” for no copy objects has been removed. Due to the risk of content loss when using the Restore to last position feature on certain no copy objects, this has been blocked. OpenSim update: Receive group chat option in group profiles now works correctly in OpenSim. As noted at the top of this article, this is something of a skim through the 4.6.7 updates to gather some of those which are liable to have widespread interest among readers. The change log is available for those who want a more in-depth read. As well as the above, there are translation and skinning improvements, stability fixes, GPU table updates, and even more fixes. I’ve been using various iterations of this release both in preview and beta, and have found it to be largely stable and reliable. I had hoped that the SL Share 2 capabilities for Flickr and Twitter would make it to this release, as I’d certainly like to make more use of the upload to Twitter. I’ll just have to wait until next time! Performance for me has been on a part with previous releases, and fairly equal to the official viewer as and when I’ve compared the two, and I’ve had not serious crash issues. As with the 4.6.5 there is a lot going on under the hood with this release, with a lot of updates and fixes which should be pleasing to many people and which represents a significant merge with the interest list work now included. Pingback: Firestorm Release 4.6.7.42398 « Firestorm Viewer – The Phoenix Firestorm Project Inc.
Only thing on my wishlist for firestorm, stop oberwriteing my cloud.xml file. or better change the cloud color to a normal white/grey color and not that ugly devil red. Not sure if am seeing right much improvement from intresst list. need more testing and bigger draw distance. I’m finding this version really horrid to use. I think the project Interesting is the fault as it seems to de-rez objects not in view (As in behind me) but if I turn around it has to rez them again so as I move around and look around I see things disappear and then my computer seems to work harder rezzing it again. Can project Interesting be switched off ? or have I done something wrong ? how are other people finding this ? Kaya, the issue of things re-drawing when you turn away from them (i.e. have your back to them) appears to be an artefact with the interest list code, and can also be found in the official viewer. As the interest list updates are core to the viewer, and so can’t be switched off. You have an option to let render all not even things that are in sight. I know cause i found it when setting this monster viewer to my like, just to found out it misses 1 simple but that even LL viewer has, left shidt+left crtl+u hides all menus from the screen, In firestorm it makes sky change to sunset!!! And what is the option to let render all? I could not find it. Reblogged this on Marina Sport Racer Sailing Club. On phototools botton, gen tab on the bottom you have a box that i unchecked that seems to me that does what i need. I wills ay seems, cause i only use firestorm on open sim and osgrid is being down for several days, so on sl i dont know how it fares. so you all forget to push to the repo or did you all make private changes. I am not going to use the product or condone it with this lack of security. Have you checked your md5sum. have you all looked at your repo you published. if there is another official repo please let us know know put our mind at ease We like your product but who pushed what to what. is the question when they do not match.. This is the first time I ever seen you all do this. make the push. This is a violation take it seriously. If you believe there is an issue with the build / repo, then you need to speak directly to the Firestorm team via their own coverage of the release, or directly in-world. This blog is not officially affiliated with or operated by the Firestorm team. I did it was simple they are not publishing the code they are actually building we will leave it at that. I do not want to start a rumor simple answers to simple questions it is out of our teams hands now. let the people that understand this handle it. Before you come somewhere to shoot your mouth off and make accusations you better to be sure you know what you are talking about. And clearly you don’t have a clue what you are talking about. But i will go ahead and explain how you, noobie compiler, are wrong and making a fool of yourself. Go to http://hg.phoenixviewer.com/phoenix-firestorm-release/ in your web browser. You will see a that a bunch of commits at the top of the list are tagged as ‘Firestorm_4.6.7’. That was necessary for selectively pulling changesets from the master development repository into the release repository when they were deciding what changes would or not be included in the official release. If you just did a straight clone ‘hg clone http://hg.phoenixviewer.com/phoenix-firestorm-release/‘ and then nothing else, Mercurial updates automatically afterward to the ‘default’ branch. All of those commits tagged as Firestorm_4.6.7 are not in the default branch so they would not show in an ‘hg summary’ command. That is Mercurial behaving as expected. But if you type ‘hg update Firestorm_4.6.7′ after the clone then Mercurial will make sure all of the changes marked as Firestorm_4.6.7’ are included. Then type ‘hg summary’ and you will see that the tip would then be 42398, which is the exact changeset number of their official release. I hope you enjoyed the lesson there, noobie compiler, and found it useful. You owe Whirly and the Firestorm team an an apology for shooting your mouth off and making accusations based on nothing but your own ignorance. Are you accidently looking at the development repository at http://hg.phoenixviewer.com/phoenix-firestorm-lgpl/ maybe? Thanks for looking in, Whirly. Greatly appreciated. Whirly you do great work but fact is a fact ok and it is supported by people that handle this issue. hg clone and look at the head it is very simple this is the first time i ever seen this on the repo. 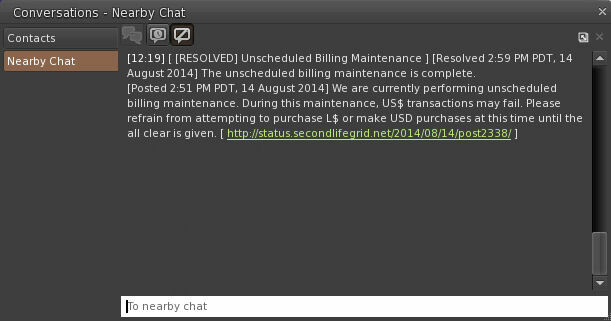 I do not have time to piss and moan just document and send report be well fix the repo .